Reading Women is a weekly podcast where women discuss books by or about women. Co-hosted by Kendra Winchester and Autumn Privett, Reading Women releases new episodes every Wednesday—you can find them here at Lit Hub or anyone else you get your podcasts. Each month features two episodes on the same theme—one highlighting a range of titles and one discussing two titles more in depth—and two author interviews with talented women writers. This week, Reading Women announces the winners of the Reading Women Award, given annually to one fiction and one nonfiction work that embodies the mission of Reading Women. 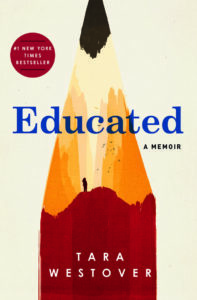 Autumn Privett: Our nonfiction winner this year is Educated: A Memoir by Tara Westover, published by Random House. Kendra Winchester: This book, Autumn. . . I keep thinking about this book and seeing other people talk about this book. I have argued with random people on the internet about this book. I feel like how long it stayed in our minds and hearts, to be slightly clichéd, really is a testament to how moving it is. AP: It really is. Tara Westover tells the story of growing up in a fundamentalist Mormon household in rural Idaho. The book’s refers to both her formal education—how she went from someone who didn’t go to high school to someone who studied at Harvard and now has a PhD— and her education, growth, and developing as a person. It is a hard book to read—there’s some domestic violence in it—but at the same time I think it’s a really important book that talks about a subset of American culture that really doesn’t get talked about that much. KW: Yeah. Educated is the book that rural America deserves. It’s not a prescription for how rural America should change. She’s not doing that at all. She’s very respectful of the Mormon religion in which she grew up and points out that her parents were very much outliers and that her father had a mental illness. She points out that her brother, who was very physically abusive, may have inherited that illness. AP: Absolutely. The book is very nuanced. It’s not a “I left my religion and now I’m everything my parents didn’t want me to be” kind of book. She’s very kind and gracious, and a lot of thought clearly went into writing the book. KW: She examines her own past as a historian, since that’s what she’s been trained as, and you can really see that in the writing. 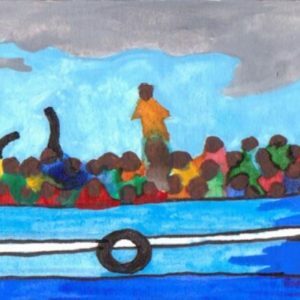 She goes back and interviews primary sources—members of her family, for instance, and gathers their accounts of things that happened as well as her own memories. I had so much respect for that, and for the fact that she acknowledges how memory can be unreliable but how at the same time, things that happened still had an impact on who she was as a person. 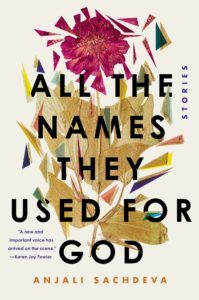 KW: The fiction winner is All The Names They Used for God, by Anjali Sachdeva, published by Spiegel and Grau. AP: This pick snuck up on us! KW: We read this early on in the year and tried to not attach ourselves to any one book early on, but we kept thinking and talking about this book and recommending it to people. KW: This is Anjali Sachdeva’s debut collection, and it’s got a number of fantastical elements, from small pieces of magical realism to full-blown sci-fi/fantasy. She shows such a range of talent and imagination in these stories. AP: I’ve read a lot of short story collections and they can sometimes be a little homogeneous, which isn’t necessarily a bad thing. But these were so broad in terms of both styles and topics that the book is just a magical rollercoaster ride. KW: It is. Roxane Gay gave the collection a really excellent review on Goodreads that I absolutely co-sign! AP: We actually got to interview Anjali earlier this year, and one of the more surprising things she told us was that she read the entire book out loud before she published it. KW: You can definitely tell. I listened to the audiobook, for the last parts of the book, and you can really tell. When you hear the stories read out loud they have such a beautiful cadence and sound that I definitely think the best kind of writing has. You can tell she put so much effort into these stories. The book is also incredibly well-structured—she has a great sense of how the reader is going to feel at the end of each story and how that’ll lead into the next story, and the order of the stories really works.